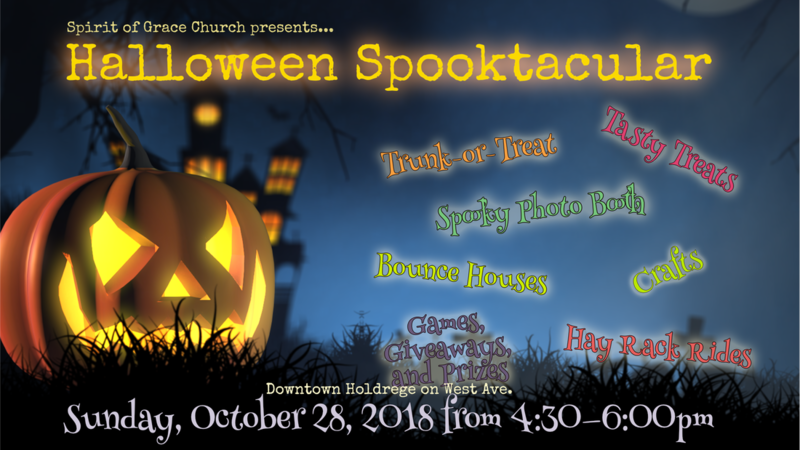 The Fifth Annual Spirit of Grace Halloween Spooktacular will be held in downtown Holdrege (West Ave. between Fourth and Fifth) on Sunday, October 28, 2018 from 4:30pm to 6:00pm. We expect another bumper crop of 1,000 to 1,200 people (including approx. 500 children) to join us downtown this year! We are excited about hosting this event again this year! See you downtown! 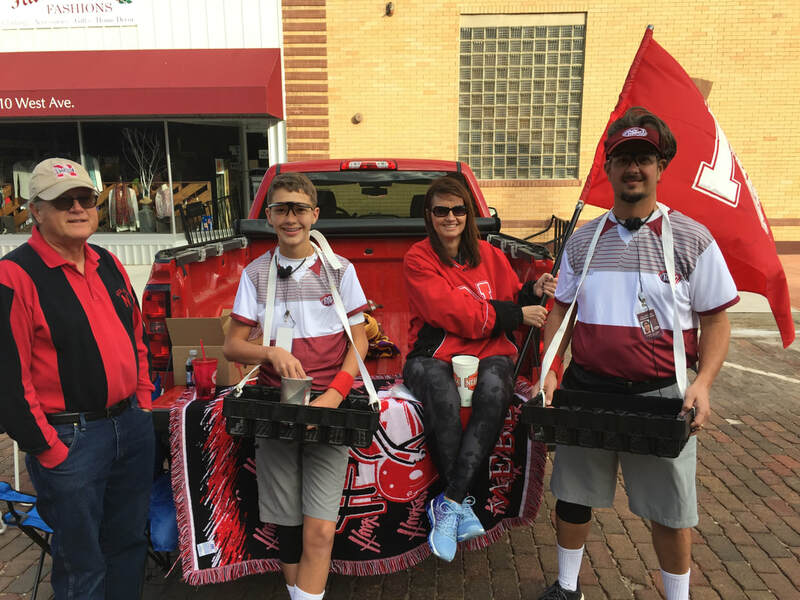 The Komenda family sponsors a Huskers-themed trunk. Sponsor a Trunk — Decorate a vehicle, put on your own costumes, and distribute candy to the kids in our community. 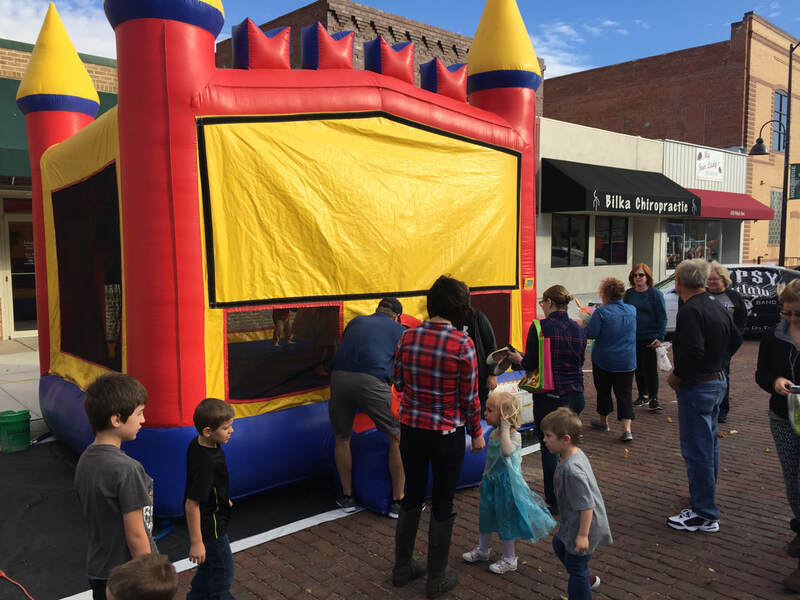 You could help with our kid-favorite bounce houses. Financial Support — Help defray the cost of putting on this event for our community's kids. 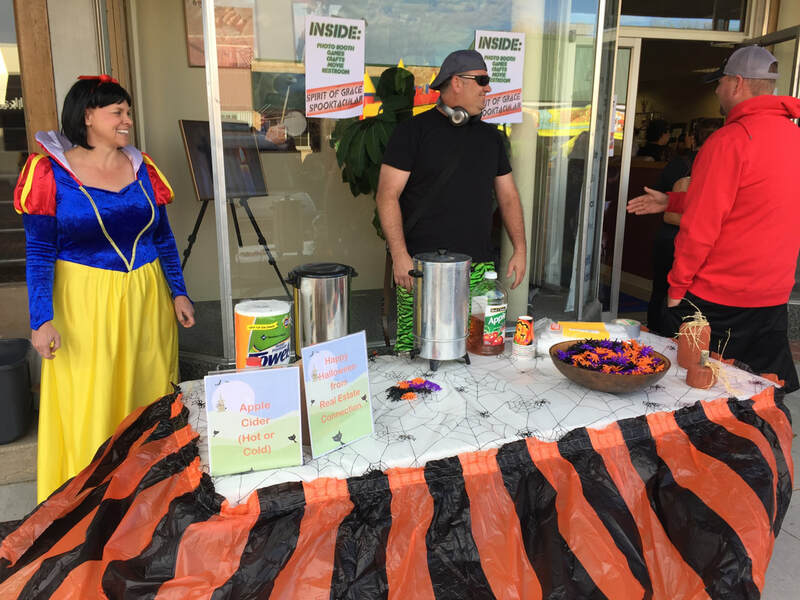 Real Estate Connection provides hot cider for this event.